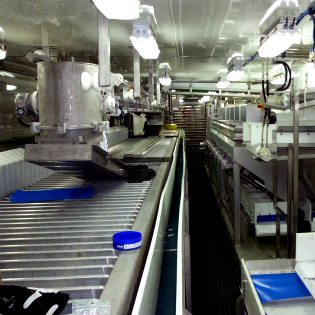 The audit of the effectiveness of the D-SAN MBIO washing and disinfection processes is carried out by experienced technicians, using the luminescence method, enabling visual imaging and identification of organic and microbiological contamination of all production areas in food processing. The D-SAN BIO audit methodology is an innovative solution that enables visual determination of peptide bonds’ location. This way, protein contaminants, including microbiological ones, can be determined. In the identification process, we use the photodynamic phenomenon by selecting wavelengths from the UV range to illustrate peptide connections. The audit ends with a report that details the impurities which are not visible in white light and includes a recommendation concerning corrective actions in the cleaning and disinfection procedure. The D-SAN system is an effective and ecological disinfecting system, which includes disinfecting equipment and environmentally friendly biocides that eliminate bacterial growth and ensure a long-lasting disinfecting effect. 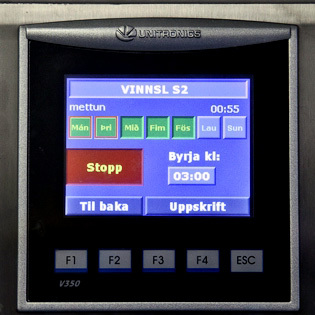 In the system, we use the technology of microsol mist production, improved by our engineers, which is used, e.g. for the disinfection of operating theatres in hospitals. 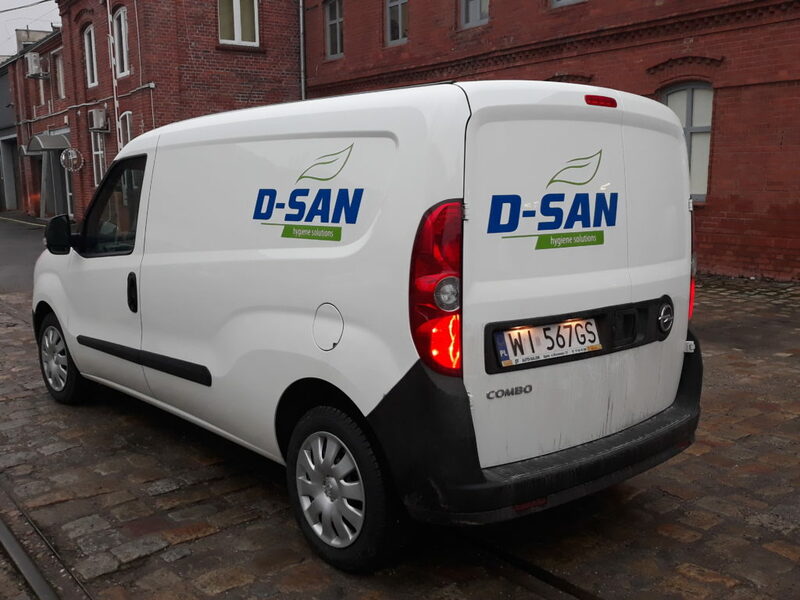 D-SAN supports demanding industries that expect economical and modern disinfection procedures in their production facilities and means of transport. 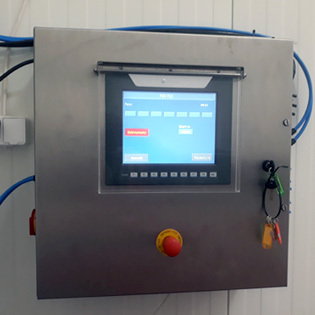 The D-SAN system is used in food processing and production, effectively eliminating all kinds of threats related to the existence of bacteria, fungi and viruses. The D-SAN system has been thoroughly tested and evaluated by globally recognized laboratories for its effectiveness against various types of bacteria in a variety of conditions. Among the tested bacteria were, among others, Listeria, E-coli, Salmonella, Candida Albicans, Staphylococcus, Clostridium, Campylobacter. Compared to other solutions, the results of microbiological tests are very good and repeatable and for over 15 years they have proved the highest efficiency of the D-SAN system in the fight against bacteria. Breeding and processing of fish and seafood. 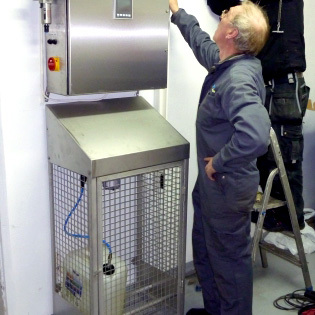 The most common assembly places are production halls with particularly stringent hygiene requirements, e.g. : ready product packaging, cutting, meat material filleting and dividing, finished product preparation, defrosting, chilling, boning, pickling and minced meat production , roasting, etc. The size of room surface and its cubature do not constitute a limitation for the system installation. Each installation design is prepared individually, together with the Client, after defining their expectations. We service surfaces with sizes ranging from a few to several thousand square metres, guaranteeing that the procedure takes maximum 15 minutes. In the disinfection process using the D-SAN system we use only high quality and proven new generation biocidal concentrates, tested under the most demanding conditions, which provide excellent performance against many types of microbes while being gentle with the environment. Concentrates used in our system have certificates allowing them to be used directly on surfaces in contact with food. Thanks to their properties, our recommended disinfectants, when used systematically and in accordance with the manufacturer’s instructions, effectively destroy microbes and enable you maintain the required, highest level of hygiene. The use of efficient substances in low concentrations, allows you to generate savings in the consumption of water, electricity and chemicals. We support the D-SAN system with our own professional technical service, whose task is to react immediately in the event of any technical problems, for example transferring the system to another place or expanding the installation. The service is carried out on a 24-hour basis. The standard service response time does not exceed 48 hours.